This is the story of a girl… who saw the price of her favorite primer and drowned the whole world—just kidding. Kind of. "Absolutely" reference aside, this is the story of a girl who shed some tears. Although, for very different reasons than John Hampson wrote about back in 2000. But actually, the plot of my own song is rather ironic. For years, I abhorred primer. It was one of the few beauty products I just couldn't convince myself to like. And if after one or two tries I decided I might be able to casually date a certain formula, after just a few more, I'd decide it was time to run for the getaway car. (Yes, I realize I am fully riding the angsty musical reference train today—forgive me.) Anyway, to cut to the chase, every single primer I experimented with, be it budget-friendly or budget-breaking, left me salty and my complexion tacky. Or slippery or greasy or pill-y or countless other unmentionable combinations I've tried to repress over the years. So after years of trial and error, I decided to quit the stuff flat. And I was happy. I've had a deep-seated obsession with my favorite moisturizer for years, and frankly, it does better than most primers at prepping, maintaining, and enhancing my foundation application. Of course, that was until I found The One. Yes, a couple of months ago, I found a primer that finally clued me into what my makeup routine had been missing. 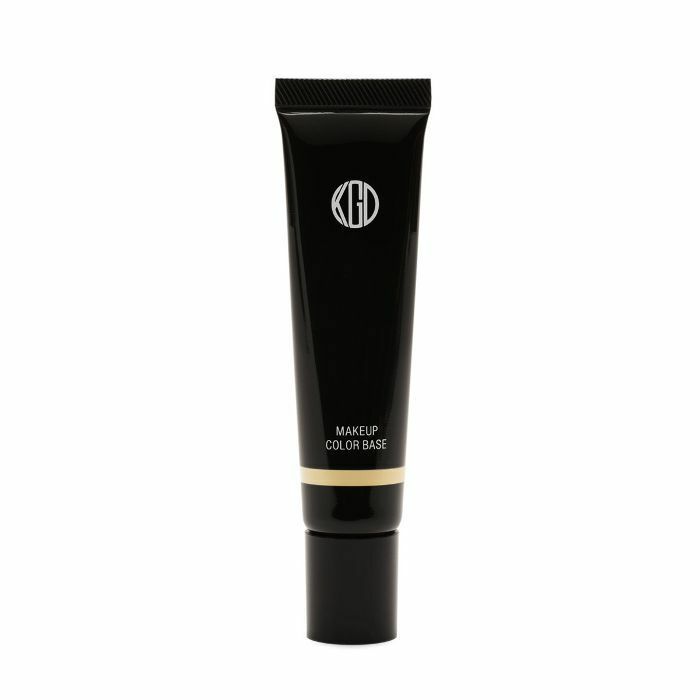 Enter Koh Gen Do Maifanshi Makeup Color Base ($52). The one problem? It's pricey. So I decided to try a little experiment which in no way was designed to dismiss my love for the primer (it will always be my number one) but to see if I couldn't find something that would yield similar results at a fraction of the price. And—drumroll please—I was successful. As I've mentioned before, I have a weird obsession with expensive beauty products. And yes, my wallet perpetually hates me for it. But does that stop me? Unfortunately, never. Therefore, finding a covetable and addicting-to-use drugstore dupe for one of the highest-priced makeup items I own was the ultimate challenge. And honestly, I didn't think I would succeed. But first, let me profess my *still* undying love for the Koh Gen Do formula—my morning moisturizer's S.O. 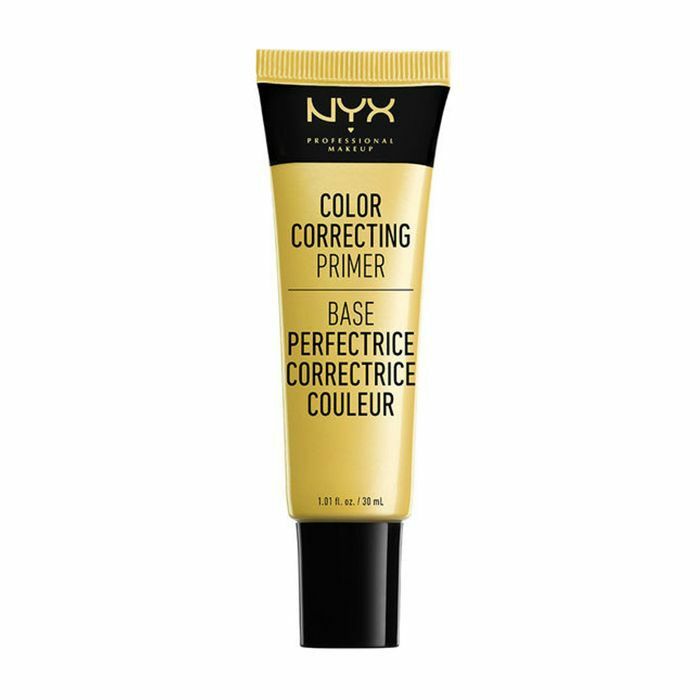 Although I actually own each of the tints that make up the brand's color-correcting line of makeup bases, this yellow-tinted one has my heart and is really the only one I use on a daily basis. The pale yellow tint is specifically designed to diffuse and brighten dark spots and discoloration, which, as someone who is in the process of tending to post-breakout inflammation and acne scarring, is key. Not only does this primer help blur the pigmented edges of my spots underneath my foundation each morning (I combine a pea-sized amount with my normal face cream before pre-foundation), but it also takes the edge off my perpetual dark circles. It melts and blends beautifully into the skin, and my makeup always sits on top of it evenly and without the dreaded pilling, blotches, or overall unevenness I've experienced with other primers. It also boasts light-reflecting pigments and a whole host of skin-improving ingredients like mulberry root and rose extract, so I always feel like I'm doing my skin a favor in the long run (versus incurring an inevitable breakout). You know when you apply a product and you can just tell right off the bat it will trigger an onslaught of pimples come morning? Cherry-on-top perks also include epic oil-absorption that never settles into my smile lines and a high cruelty-, paraben-, and fragrance-free standard of quality. Go figure: Over the past two months, I've collectively tried (and loved) more drugstore products than I've likely touched in the last five years combined. (Abominable, I know.) And this yellow-tinted number from Nyx Cosmetics has to come in at an impressive number one. Also, it's worth mentioning the formula has a solid four-star rating on both Ulta.com and Target.com. The takeaway: I'm obviously not alone in my consensus. Although the actual formula isn't quite as luxe and naturally inclined as the Koh Gen Do (you just can't compete with rose, silk, and hyaluronic acid, people), it still yields amazing results. For one week straight, I applied it just as I typically would my Koh Gen Do (combined with cream), and quite honestly, I couldn't detect much difference. And if anything, my foundation seemed even less eager to settle into my fine lines come 3 p.m. That being said, for some reason, the formula didn't seem to have quite the same color-correcting prowess, and I felt I looked a touch "pinker" than I was typically used to. (The Koh Gen Do neutralizes like no other.) That and the overall lesser quality (it is drugstore, after all) and a few not-so-stellar ingredients are why I never see myself fully committing to this one. However, that's not to take away from the fact I barely noticed a difference between the two post-application, and if I were to convert, I'd be saving a whopping $38 per purchase for something that hides underneath my foundation. So while I won't be tossing out my trusty, albeit spendy, Koh Gen Do primer anytime soon, I'm still shocked and pleasantly surprised I was able to find a drugstore primer dupe to rival the best primer I've ever used.